Last year, we had a full house and we want you to join us for what is sure to be another powerful evening. Spend the evening with like-minded people and enjoy a special four-course meal prepared by some of the Bay Area’s best chefs. The evening’s thought-provoking program will highlight our award-winning Think Before You Pink® campaign. We are thrilled that Shakirah Simley, MA, will emcee the evening’s festivities! 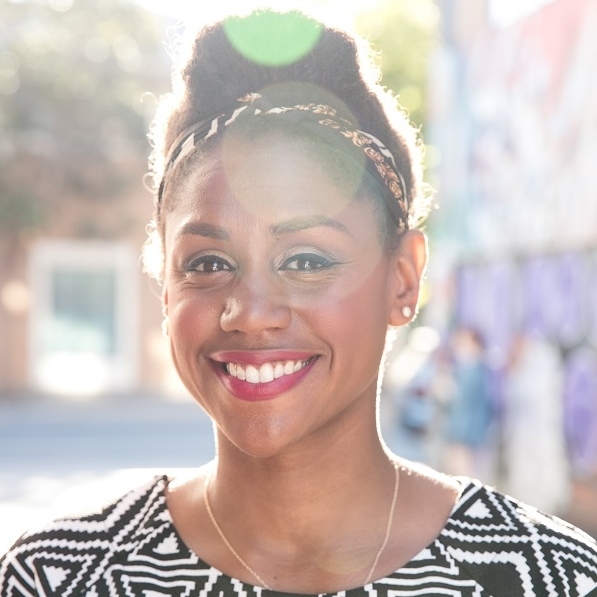 Shakirah is a community organizer and writer in San Francisco. She earned her organizing chops over a decade of working on food equity, labor and youth campaigns. The daughter of a social worker, and granddaughter of a Black Panther, she graduated with honors from the University of Pennsylvania, and completed her master’s degree at Italy’s University of Gastronomic Sciences as a Fulbright Scholar. For over 5 years, she served as the Community Director for famed local grocer, Bi-Rite and its Family of Businesses, directing its philanthropy and community outreach, with a penchant for programs that support youth empowerment and food justice. In 2016, she co-founded Nourish|Resist, a multiracial collaborative using food spaces and people as tools for collective resistance. Shakirah is a prestigious Fellow for the Stone Barns Center for Food and Agriculture, and in 2017 received a Special Commendation from the City of San Francisco from Supervisor Board President London Breed for her community-based food work. Outside of her day to day, she continues to write about the intersection of food, race, and gender, Her writing has appeared in Civil Eats, The Huffington Post, SF Chronicle, and a recently published cookbook for the revolution: “Feed the Resistance”. 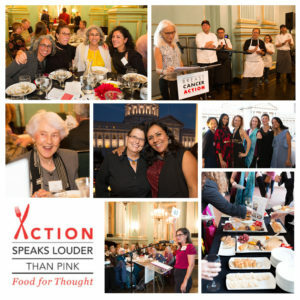 Shakirah continues to organize folks of color in food, and support youth and educational initiatives as a board member with CUESA, Northern California Community Loan Fund Food Advisory, and SPUR’s Food + Ag Policy Committee. She recently made a switch to City Hall, and currently serves as the Legislative Aide for Supervisor Vallie Brown of District 5 in San Francisco. She was born and raised in Harlem, New York, and has lived in San Francisco for over 10 years. Thank you to our amazing chefs for donating their time and talent! Trudy Schafer, is a chef and educator who runs a personal chef business, The Healing Hearth, where she cooks for clients living with cancer. She approaches each client’s health challenges holistically, leveraging her extensive knowledge of food ingredients and their inherent healing properties. 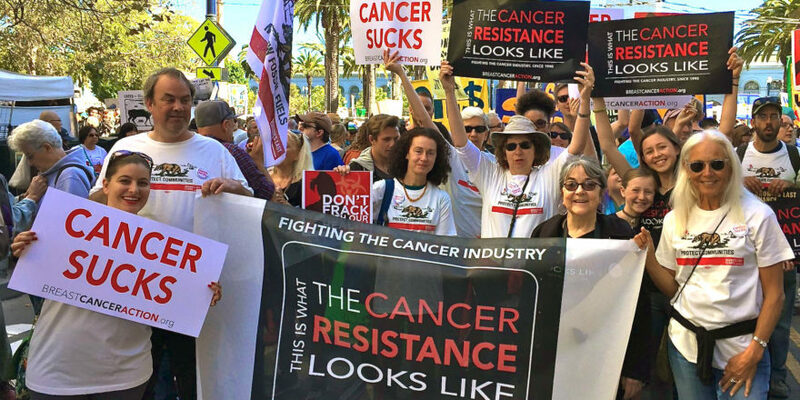 She teaches monthly classes at the Women’s Cancer Resource Center in Berkeley and Cancer Support Community in Walnut Creek. Trudy holds a Natural Chef certification from Bauman College and an MA in Holistic Health, specializing in Holistic Nutrition from John F. Kennedy University. 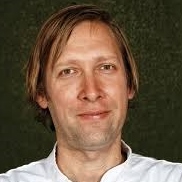 Eric Tucker is the founding and current chef/co-owner of Millennium Restaurant in Oakland. A graduate of The Natural Gourmet Cookery School in NYC, his culinary passion has been to elevate vegetable based cuisine to the sublime! Millennium’s cuisine can be described as a convergence of many ethnic styles with northern California sensibilities and contemporary presentation. Eric is an avid supporter of the local, sustainable agriculture movement as well as an instructor at CHEFS (Conquering Homelessness through Employment in Food Service) in San Francisco. He is the principal author of The Millennium Cook Book and The Artful Vegan, published by Ten Speed Press. 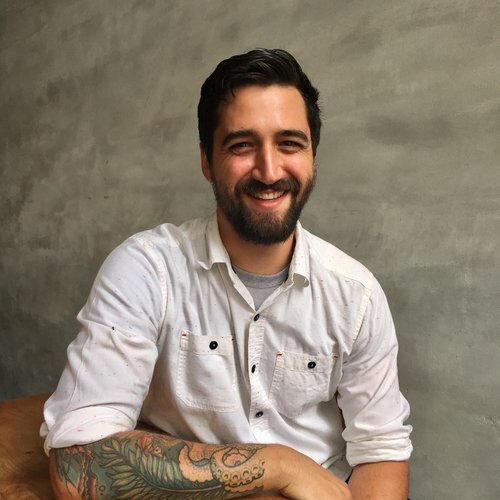 Michael Andreatta is chef at The Perennial in San Francisco. He cooked at Commonwealth in San Francisco, and after a three-year sojourn in Chicago (cooking at Boka, The Publican, and Publican Anker), he is happy to be back in the Bay Area. A native Californian who has lived up and down the state, Mike confesses that he hated avocados until he turned 30 and realized what he’d been missing. He finds the fun and the joy in cooking, foraging, and eating, and has a Gemini’s talent for finding the positive in everything. Christina Morris is the current wedding cake baker and event chef at Fogcutter Catering in San Francisco and an assistant chocolatier at Jade Chocolates. 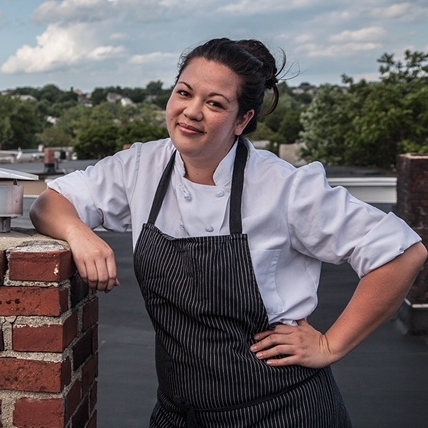 She has been a pastry chef for 20th Century Cafe, Craftsman and Wolves, Cafe des Amis and A16 in San Francisco and No.9 Park in Boston, owned by Barbara Lynch. Christina attended the professional pastry program at the Cambridge School of Culinary Arts. Sascha Weiss is the director of product development for Project Juice. In his role, Weiss leads the innovation team and transforms visionary ideas into meaningful, groundbreaking new products. Weiss also harnesses more than 20 years of experience in the San Francisco area culinary world to assist with opening new Project Juice retail store locations. A veteran chef and plant-based food expert, Weiss is inspired to create food that excites and nourishes the body while working alongside exceptional local and organic California farms. Prior to joining Project Juice, Weiss spent more than a decade as the culinary director and founding executive chef at The Plant Café Organic in San Francisco. He received his training at the Natural Gourmet Institute.